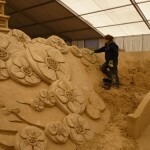 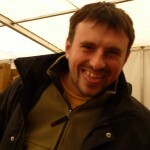 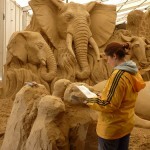 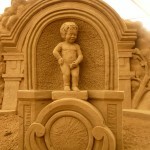 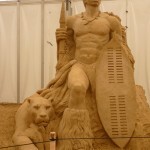 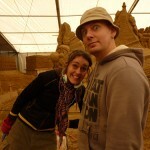 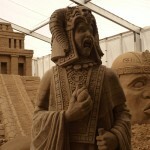 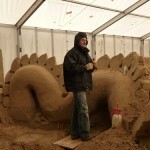 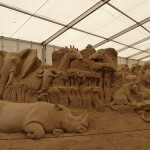 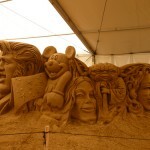 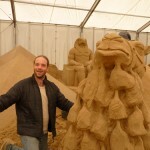 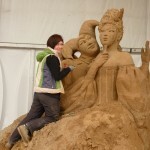 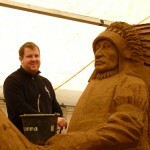 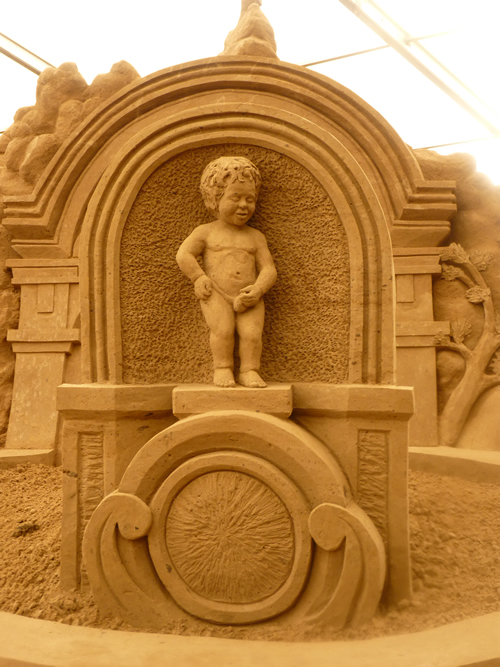 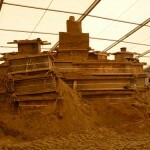 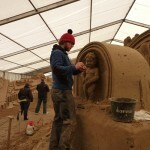 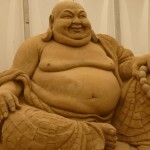 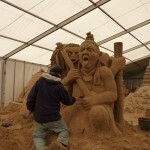 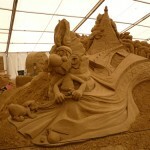 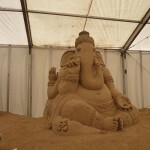 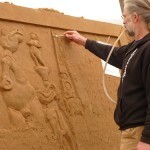 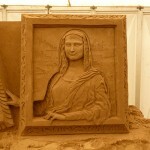 It’s hard being a sand sculptor…. 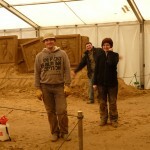 When I arrived in Rugen Germany a friend of mine Krists Zarins greeted me with a new excellent shovel already sharpened. 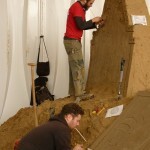 This may seem like a small feat, but a sharp fine small shovel is a sand carvers best tool and is pretty hard to find. 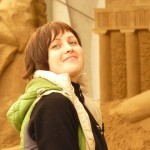 This was then added to by the fact that there was a pool just across from where I was living together with a Sauna. 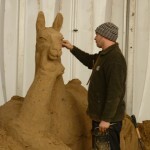 And then just to round it off nicely we were working on a nature reserve and there were deer and hares all about the place. 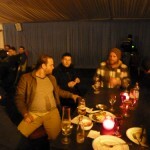 And the food was great to as long as you weren’t a vegetarian. 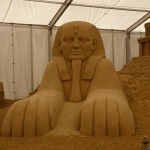 It’s hard being a sand sculptor, but someone’s gotta do it.